ONE MORE THING B+T STANDS FOR. QUICKEST TURNAROUND FOR STRUCTURAL ANALYSIS IN THE INDUSTRY. 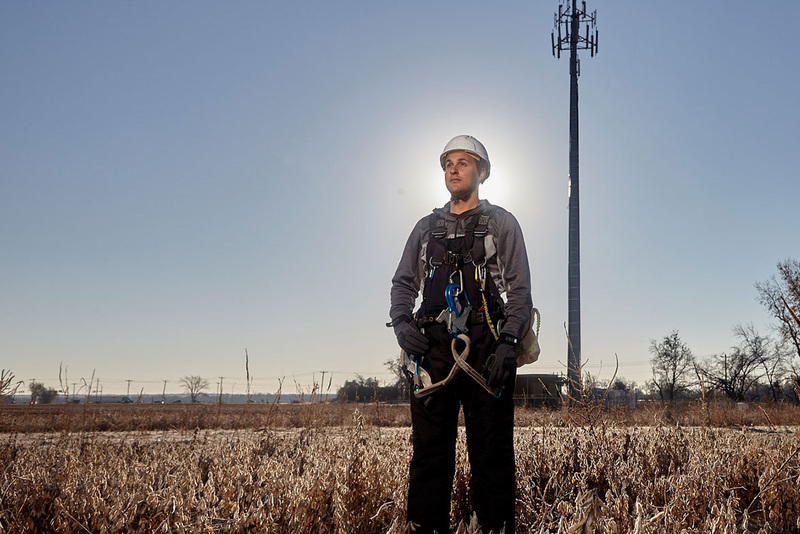 In 2000, Dinesh Bhat and Chad Tuttle, CEO, started B+T Group when they saw the growing demand for structural analysis on cell towers thanks to the drive for collocating. 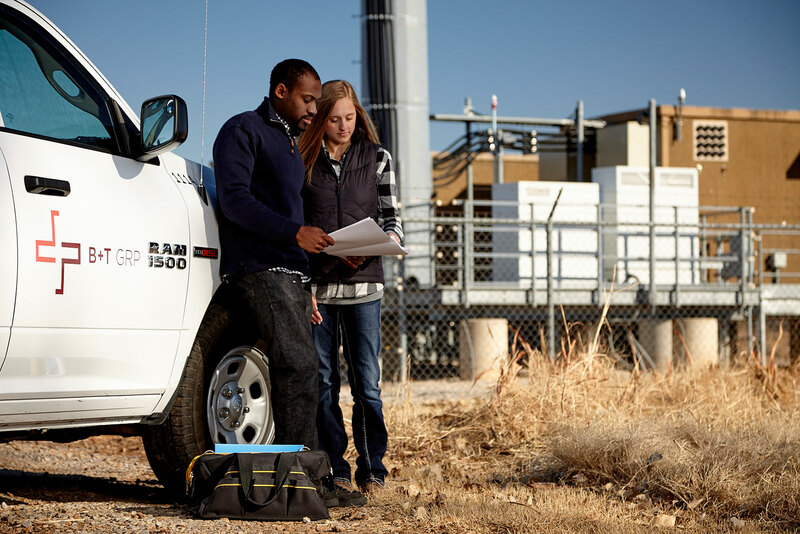 Today with seven regional locations, we continue to support the wireless industry with turnkey services for Engineering, Site Development and Field Services. B+T Group is uniquely capable of delivering around-the-clock, mission-critical infrastructure solutions to wireless carriers and tower owners/operators. Our best-class engineering services include A+E, Tower Analysis, Tower Modifications, Mount Analysis and Modification, Civil and Structural Engineering and RF Engineering. for Macro, DAS and Small Cell Networks. At B+T Group, we’re in the field with you every step of the way, whether you need a new build or work on an existing structure. To make sure our crews are ready for any of our clients’ jobs, we start with training. Before our crews climb a client’s tower, they spend at least 40 hours on our own training towers located at our Field Services Headquarters in Muskogee, OK.
Our goal at B+T Group is understanding the differing needs of our customers. 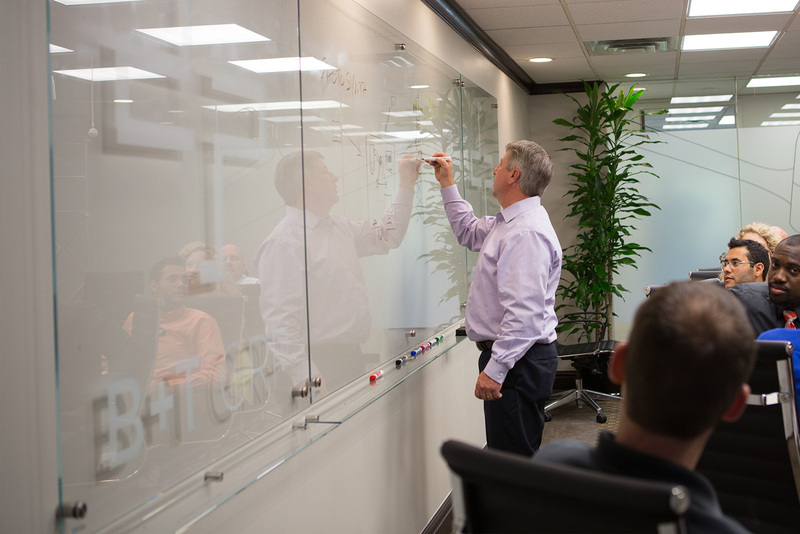 In this pursuit, B+T Group offers customers a complete turnkey experience. Our Site Development Services group is designed to handle your turn turnkey site development needs. Whether we take the project from SARF to CO or any segmented part in between our Site Development Services Group stands ready and willing to assist your project needs.